We discuss how to approach Anxiety and Depression cases. 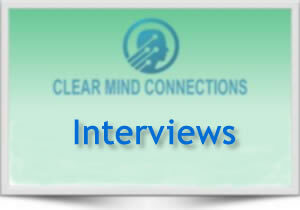 We discuss the surveys that are part of the Clear Mind Maps Database. We discuss the 3 reason a patient may not train. We discuss the Magnitude Shift. When and how to shift the power of a brain map. We discuss how to modify a training session. How to use BioReview to track your patients progress. We discussed how to us the optimizer protocol. How to approach anxiety and depression patients. We discussed the survey options in the Clear Mind Maps database. We discuss the 3 reasons someone may not train. Understanding the protocols. We discuss how to look at a protocol to know what to follow when training a client. We discussed how to shift the power of a brain map using the magnitude contrast. We discussed how to approach anxiety and depression cases and pick protocols to help. We discussed the 3 reasons why patients may not train. We discussed the Photic Glass Software options and how to determine the difference between artifact and a good eeg signal. We discussed 60 Hz Noise. Cause and Solutions. We discuss using the Optimizer protocol. Discussion on the SMR protocols for Seizures, Tremors and Sleep. This was the final webinar of the series. We had an open questiona and answer session. We discuss the Client Report in this webinar. We discussed how to use and build a progress tracker. We discussed the patient portal and online surveys. We disussed how to record a brain map, safety nets to ensure that map was recorded, and artifact verse clean eeg signal. 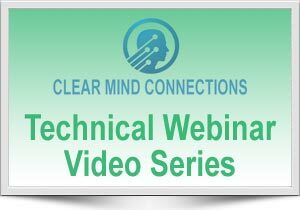 We discussed the use of the PTSD protocols in this webinar. We discussed the Optimizer protocols in this session. We discussed Video & Audio Fade as well as the Magnitude Contrast. We discussed how to use the Instruments 1 screen. This video explains how to use the Instruments 1 screen when training a patient to verify change in brain activity. 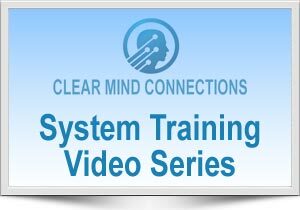 This video discuss how to operate the Clear Mind Focus unit. This video explains the sureys that are included on the Clear Mind maps database. We discuss the survey option in the Neuro Database and how to set a patient up to use the patient portal. We discuss 3 safety nets when recording a brain map to insure that it captured correctly.